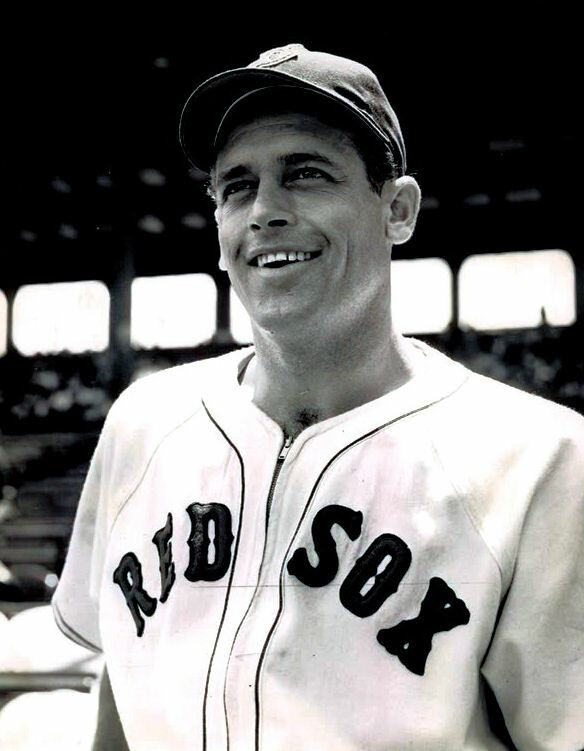 ON THIS DATE (June 15, 1947) ... Jake Jones, the new Red Sox first baseman, acquired in a trade for Rudy York just before the game started, hit a grand slam home run with two out in the ninth-inning of the second game to give the Red Sox an 8 to 4 win over Chicago, after beating them 7 to 3 in the first game. No major league player ever was placed in the spot light more than Jones. When the trade was first announced there was a feeling that the Sox had traded a great slugger for some nobody just named Jones. The White Sox were glad to get rid of him. They said he was not there in the clutch. That's not the only mistake the White Sox made. The second game was tied at 4 to 4 going into the last of the ninth-inning. Johnny Pesky, enjoying one of his best days of the year, dropped a single to right. He was sacrificed to second by Wally Moses. Ted Williams was then passed and Sam Mele grounded down to Floyd Bake, putting Johnny on third base. Bobby Doerr was passed to load the bases and the man the White Sox said wasn't there in the clutch, rubbed his hands with a tiny rosin bag. White Sox pitcher Orval Grove threw him a fastball inside and Jones teed off on the ball which landed in the left field screen for the game-winning walkoff homer. The Red Sox had to come from behind to win in both games. In the first game, Tex Hughson blew a two run lead when Jack Wallaesa hit a home run, with two aboard, to send the White Sox into a temporary 3 to 2 lead. Sam Mele and Bobby Doerr then opened the sixth inning with singles. Jones laid down a good bunt, that was so good it upset pitcher Bob Gillespie. He fumbled the ball and the bases were loaded. Lee Culberson was sent in to pitch it for Hughson and he slashed one down to Don Kolloway at second base. It was hit hard and right at him. It should have been a doubleplay ball, but Kolloway fumbled it as Doerr scored the tying run. The speedy Jones came all the way from second with what was the winning run. The Sox added two more runs before the inning ended and they added another in the seventh when Jones smacked one that cleared the left-field fence. In the second game the White Sox jumped out to a two run lead in the third inning. But the Red Sox came up with a four run rally in their half of the same frame. With two outs, Pesky and Moses singled. Ted Williams was passed and Mele drove in two runs with a single to center. The White Sox intentionally passed Doerr to get to Jones. He hit an inside breaking pitch off his hands, and it was enough to get through the infield for a single, driving in two more runs and putting the Red Sox into a 4 to 2 lead. The White Sox then jumped on Joe Dobson four hits in the sixth to tie up the game at 4 to 4. Then came the ninth-inning and Jones' winning grand slam. It was quite a day for Jake Jones. He hit two home runs and drove in seven RBI during the afternoon for his new team. Jones, a former Navy pilot war hero, was the hero in a different sort for today.